The Spurlino Family YMCA, 9650 Old Big Bend Road in Riverview, took another major step to becoming a reality this week with the appointment of an executive director. 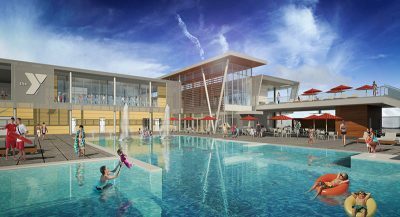 Jeremy Hester will oversee the $16.4 million project, which includes 32,500 square feet of indoor space plus an outdoor aquatic center. Construction is projected to be completed in mid to late December with a grand opening weekend extravaganza planned for January 2019. • For youngsters – Youth soccer, basketball, summer camp, a Kid Zone for children to learn and play while their parents workout, teen leadership programs, swim lessons, swim teams for all ages and family-friendly events. • For adults – State-of-the art wellness center with top-notch equipment, innovative fitness technology, an indoor cycling studio and two group exercise rooms offering popular classes such as cycling, yoga, Zumba, boot camp, and Les Mills. Programs include, but are not limited to, personal/group training, a free eight-week weight loss program for members, a diabetes prevention program, a cancer survivor program, an indoor cycling program for Parkinson’s patients, a senior fitness and arthritis management program, programs for active older adults, health education seminars and other social events. An artist’s rendition of the completed Spurlino YMCA shows families enjoying the pools. 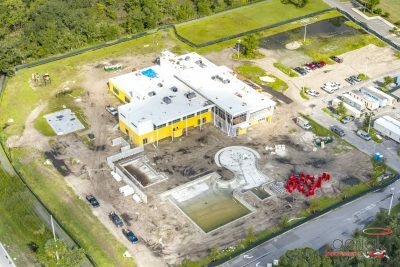 • Aquatic center – A lap pool and family fun pool similar to the one currently at the Campo YMCA in Valrico and South Tampa YMCA with a zero-depth entry and fun play features for the entire family. One of the main buildings takes shape in this Sept. 10 photo. • For information on individual and family membership rates, which have yet to be released, go to www.Tampabayymca.org, click “locations” at the top of the page and then “Riverview.” You can also add your name and email for up-to-date information on the membership perks, pricing and operating hours. 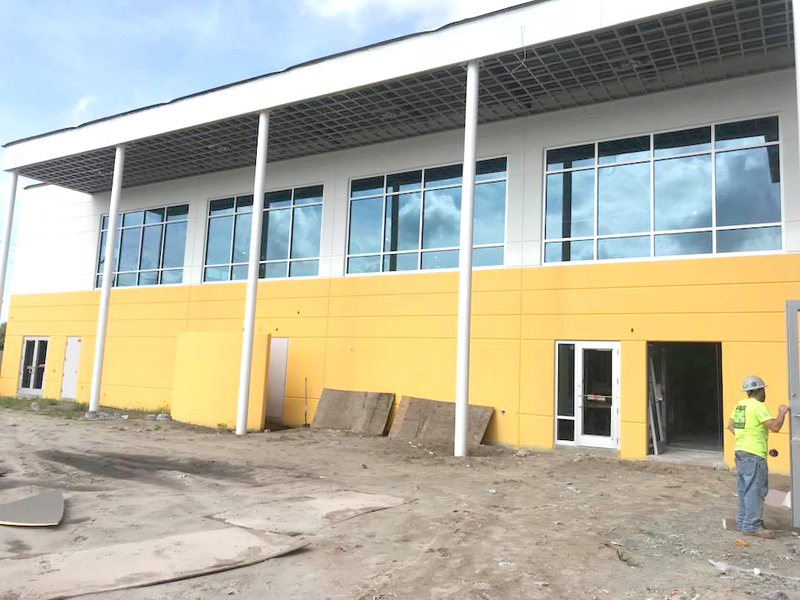 • The Big Bend Y Facebook page – search for “Spurlino Family YMCA at Big Bend Road” on Facebook – which also has regular updates and 2,700 followers. • For more information call 813-436-5890. Some 125 jobs in wellness, aquatics, sports, administration, membership and program management are available. For more information, email Jen.Federico@tampaymca.org.